Chimbulak has been discovered by amateur skiers only at the end of 1940s. It seemed an ideal spot for many types of skiing activities. And not that long after, Shymbulak became the first downhill route in the Soviet Union to meet international requirements. 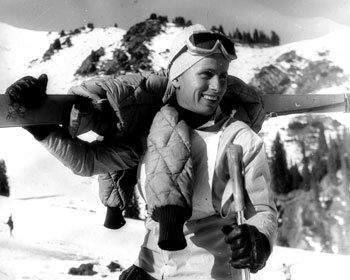 Before 1954 skiers had to climb up on foot for 3 hours to make a 15 minute descend. Only in March of the same year they built 1500 meters (4921 feet) of ski tow. Shymbulak hosted several USSR Championships and the Silver Edelweisse prize sking competitions since 1961. Since 1983 it became the Olympic ski training center of the USSR. So Chimbulak profited from it by having many facilities built around the area. One of them is the Chimbulak hotel. Since the collapse of the USSR, no competitions of regional importance have been held, but yearly national competitions. As of 2001 the annual "Artyemenko" Prize (11 times Champion of the USSR) competitions are held on February. Chimbulak is going to host a historic sports event in its entire lifetime - the 7th Asian Winter Games 2011. If it passes the test, that will be a huge support for 2022 Winter Olympic Games, that Kazakhstan considers to bid for.